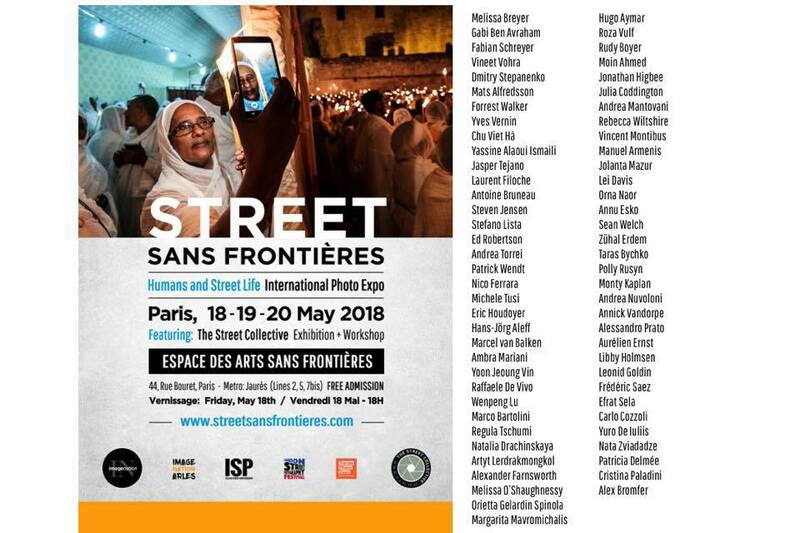 We are delighted to see that 3 of our photographers will be present in Paris, 18-20 of May 2018 at the festival Street Sans Frontieres organized by ImageNation. Congratulations to Melissa Breyer, Sun (Artyt) Lerdrakmongkol and Nico Ferrara. For more information visit Street Sans Frontieres webpage.